Beetlejuice, beetlejuice, beetlejuice! 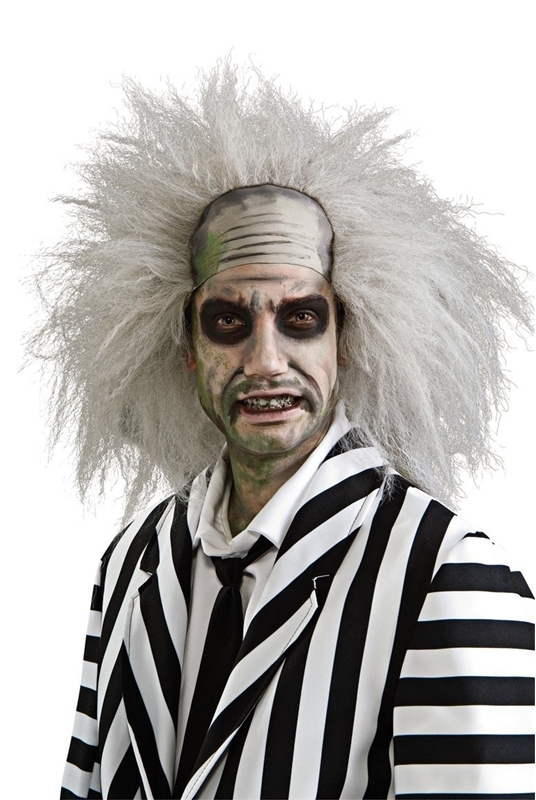 Summon the fun of this classic movie character with this undead, high quality Beetlejuice Adult Wig. This grey colored wig carries frizzy volume, and includes a latex forehead cap detailed with the intense foreheads lines of the character, that can be easily painted with makeup to further complete your transformation. Diameter Max. 15", Length: 7"